The immigrant camps were filled to capacity and the conditions became unbearable. The government decided to build absorption camps – neighborhoods of temporary housing for the new immigrants for a period of transition. 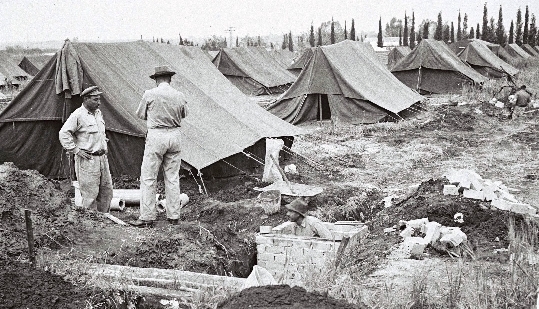 At first, the immigrants were housed in tents, asbestos shacks and then wooden shacks. Public buildings were also constructed. There were schools, synagogues, clinics and kindergartens. Each family was independent and had to support itself. However, there were few job opportunities, so the government initiated public works projects. The immigrants paved roads, cleared rocks from the fields, planted trees and worked in harvest. They earned very little. 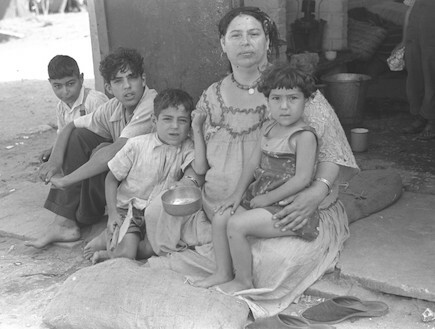 Approximately two years after the establishment of the absorption camps, the immigrants, with the assistance of the government, gradually began to move to permanent housing. However, there were camps which existed until the 1960s. Their aim was to continue the tradition of agricultural settlements. In addition to providing productive work, these settlements were built in outlying border areas to answer a security need. 270 agricultural settlements were established, absorbing 50,000 immigrants. During the 1950s, Israel established development towns. Their aim was to develop new areas in the country and to distribute the population. 25 towns were built from the North to the South. 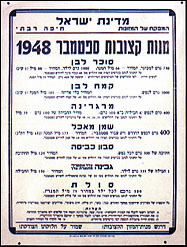 In 1950, Bet Shemesh, the first development town, was established. Other such towns are Shlomi, Kiryat Shmona, Metulla, Kiryat Gat, Yeruham, Dimona, Eilat and Netivot. The development towns absorbed the largest number of immigrants. Factories were built to enable the immigrants to support themselves. For example, The Dead Sea Plant was established in Dimona, Kitan, the textile factory, was built in Kiryat Gat. A factory which produces plastic bottles and a factory for medication were built in Yeruham. In quite a few cases, the factories closed, leaving those towns with a high rate of unemployment. Absorption in Israel was not easy. In addition to the many physical difficulties of housing, work and language endured by the immigrants, there were also cultural problems. Their cultural and social values were belittled and trampled on by the Israeli society and by the authorities who were responsible for their absorption. The family structure was shattered as parents became dependent on their young children who became absorbed much more easily. Many of the children abandoned and even degraded their families’ culture and religion, embarrassed by them. What am I doing here – I have no idea. What is this here anyway, I ask. and put everything into a suitcase? and ‘If you will it, it’s no legend’? [All going at me] from morn to noon. We even crossed the sea of DDT. Following the War of Independence, which lasted for 20 months and following the massive immigration to Israel, the country faced severe shortages of agricultural and industrial products. Many products disappeared from the shelves. There was a severe shortage of gasoline and many other products as well. There was so little paper that newspapers were printed on only one page. The most serious shortages were in foodstuffs. Therefore, in April, 1949, the government declared an austerity regime, “Tsena”, and basic food products were rationed. The aims of the regime were to prevent exorbitant prices and to ensure the supply of necessary staples to the population. Dov Yosef was appointed Minister of Austerity. The country’s morale sank. It was hard to get food staples, shoes and clothing. Simultaneously, a black market was growing despite the supervision and the stiff penalties imposed on those who smuggled products. Gradually, products were removed from the list of rationed goods. In 1959, the austerity regime ended. The Commission, headed by Judge Frumkin, examined the question of how the children were educated in the immigrant camps. 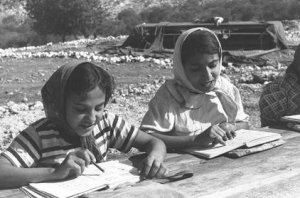 All over Israel, citizens were given a choice as to how their children would be educated. There were three streams: general/the workers, Hamizrachi (Eastern) and religious. In the immigrant camps, there was only “unified” education, whose content was determined by the government. “Unified” education included secular values which were not suited to the religious lifestyle of most of the immigrants in the camps. A group of immigrants, led by the Jews of Yemen protested and rebelled against the “unified” education. They demonstrated, organized strikes and sent letters of protest. As a result, the Frumkin Commission, a commission to investigate the situation, was appointed. In May 1950 the Commission submitted its findings to the government. The “melting pot” approach was harshly criticized. This approach was an attempt by the old Yishuv to educate the new immigrants to be “new Israelis”, against their will. The report criticized the authorities for harming religious values. They cut off sidelocks and hampered Tora studies. The Commission called for the authorities to treat the new immigrant children like all the other children were treated and to preserve their culture.